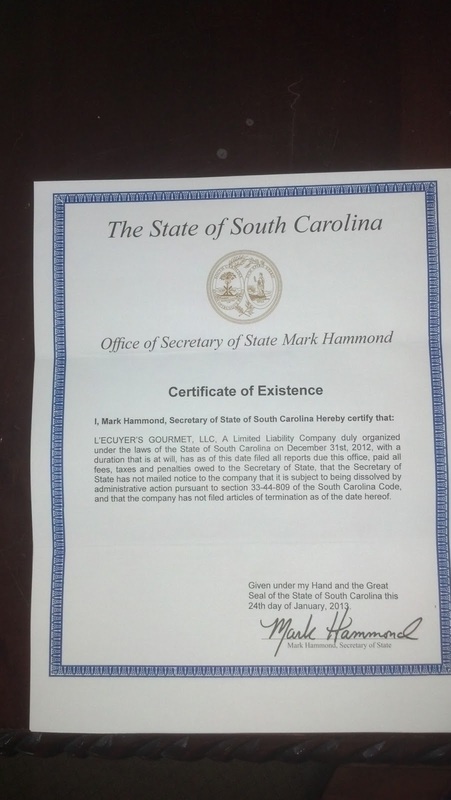 L'Ecuyer's Gourmet: We have our LLC!! It has officially come. Our certificate arrived today! We are now an LLC (Limited Licensed Corporation). This is great news for us indeed! What does being an LLC mean? As a Limited Licensed Corporation, it provides protection to my husband and I as a company should anything happen (God willing it doesn't!). Simply put, it keeps us protected as a business and personally. Anyone in business these days should have some form of protection beyond your insurance and this is a great way to do it. Canola Oil? Good or Bad? Pectin - is it GMO? What is HAE and what it's like to live with it? Goats Milk Chocolate Mint Soap! They're Ready! Vegan Chocolate Lovers Lip Balm!! New Soaps & Valentines Items Soon! !